For use with the POL906 USS Reliant 1000 scale snap together kit from Polar Lights. 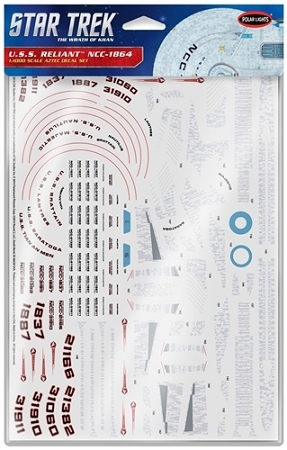 Take your USS Reliant model to the next level with aztec surface decals from Polar Lights! Aztec decals supply the complex surface designs present on the original filming miniature as seen in Star Trek II, The Wrath of Kahn.